Like many people I’ve been soured on ads and sponsors for my podcast and newsletter: Unsupervised Learning. If you hav a decent following it’s actually possible to make a significant living off of both sponsors and ads—and especially sponsors. At one point I was getting a couple thousand a month from just a couple of sponsors, and I was just experimenting. Implementing a basic ad network with a tiny, rotating text-only add was getting me around $500 a month when I was doing that. But it just started to feel gross. I didn’t like what it did to my site’s appearance, and I didn’t like the feeling of selling something (I never have). Ironically, it also kept me from being able to mention products that I liked because, since I was ACTUALLY selling other products, it would seem as if I must have some relationship with those brands as well. I never did. I stopped supporting NPR when they started having tons of commercials from all the usual corporate suspects. It was Sam Harris that finally convinced me to migrate to the subscriber-based model. At the beginning of all his podcasts, he’d stress that the show is ad-free and that the only support from the show comes from listeners. It reminded me a lot of NPR, which I have also subscribed to in the past. I am also a serious believer in the role of individual influencers in the future of entertainment, media, and business, and am even involved in a gaming startup that supports this vision called Opera Event. My first move when switching from ads/sponsors to member-supported, was to go with Patreon. Their service deserves credit for being very early in the “direct” support model (more on this later), and it does work fairly well. My problem with Patreon is that it’s not really a direct connection between the supporter and the content creator. Patreon simply isn’t direct enough. It has too much going on in the middle. It has it’s own business model, it’s own values, it’s own culture, and it’s own rules. And these rules have caused them to start shutting down content creators that they don’t agree with. So it’s not really a connection between you as a content creator and your followers—it’s more like their own thing that happens to live on the connection between you two. So that’s about when I came across Ben Thompson’s Stratechery, which is another fantastic offering by the way, and noticed that he was using Memberful. It’s truly lightweight and creator-focused in the sense that it’s YOU connecting with your fans, not Memberful. It stays out of the way, just facilitating rather than marketing its own thing. It’s backed by Stripe, which is an industry leader in secure payment infrastructure. It’s super slick in how it handles subscription links (via Stripe popups). It’s easy to make multiple different subscription types and levels, and to have unique URLs for each of them. Member management is quite elegant, both for the creator and for the subscriber. The whole system integrates into WordPress cleanly, meaning that you can have member-only content for subscribers and you don’t have to do much more than tick the box for who should be able to see the content. Every creator should do this in my opinion. My support page, for example, lives at, danielmiessler.com/support, not with Memberful. Another important thing for me is having the payment structure live at your actual domain instead of at the domain of the provider. This stays in the spirit of the creator’s domain being the single source of truth for their entire online presence. Basically, if supporters start the process of supporting you by going to a domain other than yours, there is an incentive misalignment problem. So I switched, and I’ve been very happy with the decision. 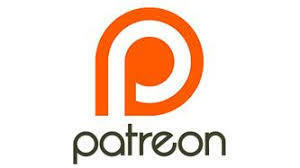 Patreon isn’t horrible, and they deserve respect for being early to this movement. But if you’re not happy with them for any of the reasons I mentioned—or other reasons—you should give Memberful a look. Ensure that your support infrastructure lives on your own domain—ideally at domain.tld/support—and that the solution you use for taking payment and managing memberships stays mostly invisible. I hope this helps someone dodge a few of the early landmines involved in moving to a subscriber support model.